Currently, nuisance caused by road-construction can occur. Construction period until the end of 2021. 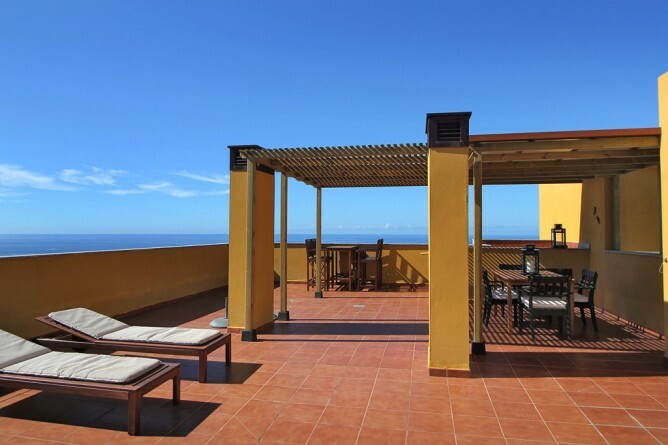 The comfortable Holiday Apartment Vista Panorámica is located on the top floor of the newly built apartment house San Miguel in Villa de Tazacorte. 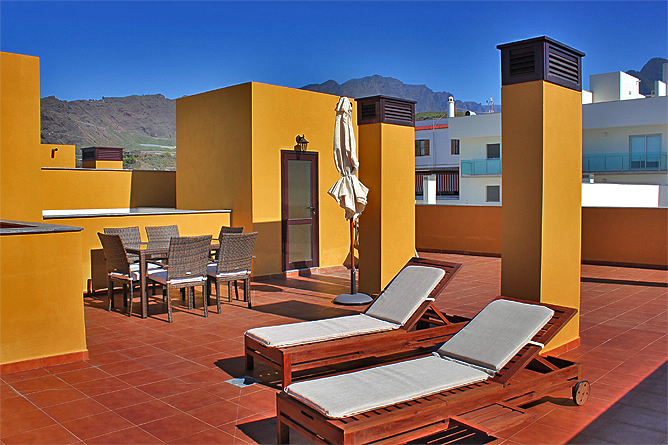 From the 90m² private roof terrace you enjoy a fantastic panoramic view of the sea, the village and the mountains. 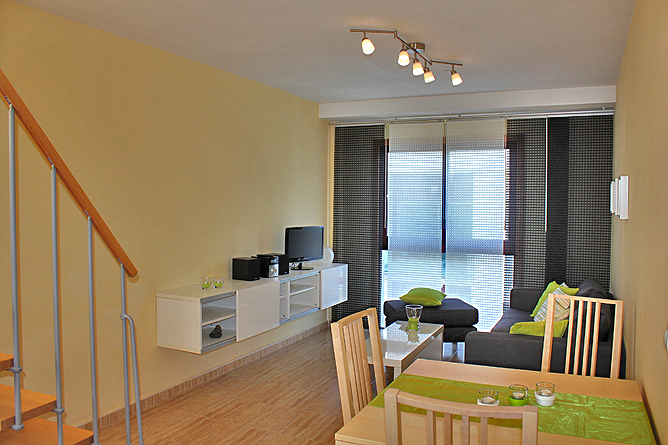 The 55m² Holiday Apartment (first-time occupancy in 2013) comprises a living room with a fitted kitchenette, two bedrooms and a bathroom. 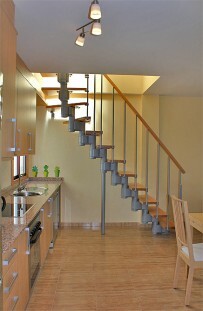 It is located on the top floor of the Apartment House San Miguel. A lift is available. 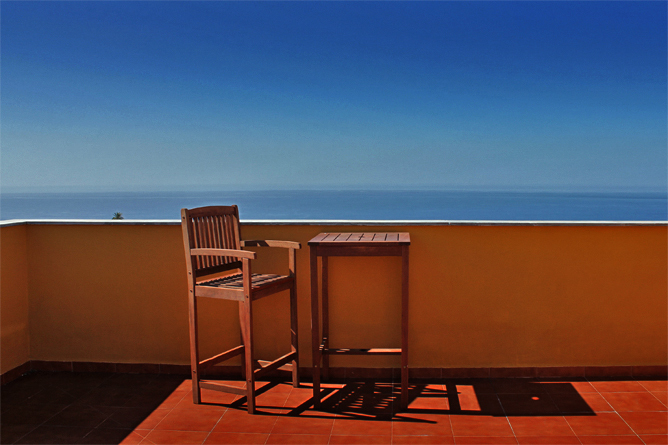 The highlight of Vista Panorámica is the 90m² furnished terrace with a fantastic Atlantic panorama. 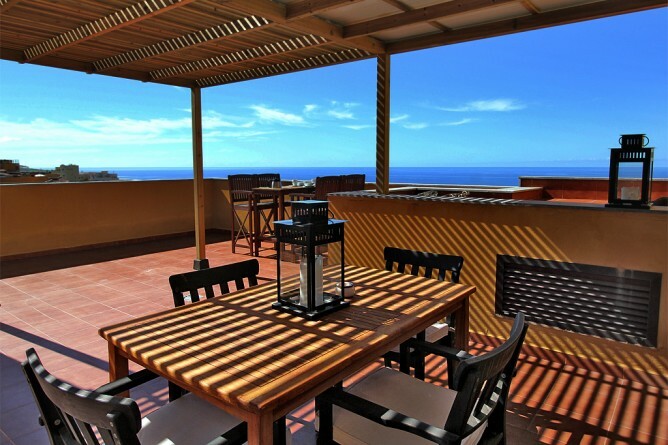 This roof terrace is exclusively for private use of the guests of Vista Panorámica. 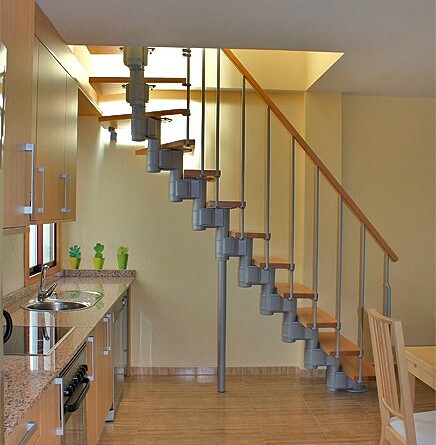 A steep staircase (see photo) leads from the living room up to the roof terrace, which makes the Holiday Apartment only suitable to a limited extend for accompanying small children and people with reduced mobility. 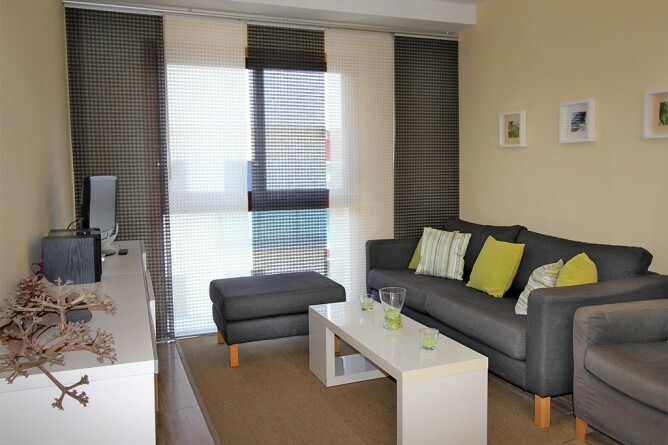 The living room is furnished with a cosy sitting corner and a dining table with four chairs. 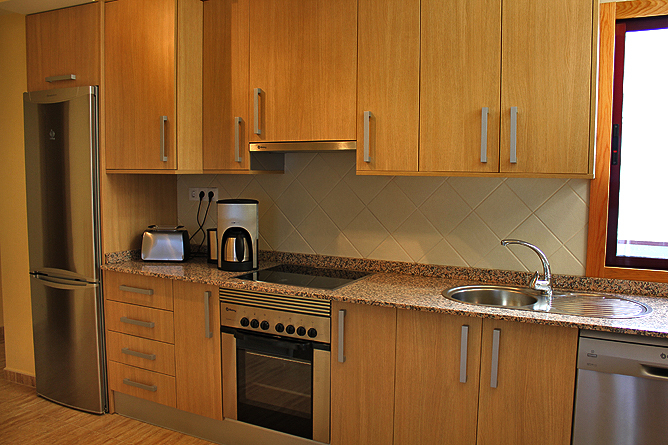 The kitchenette is modern and very well equipped. It features a ceramic hob, an oven, a large fridge-freezer, a dish washer and a washing machine. 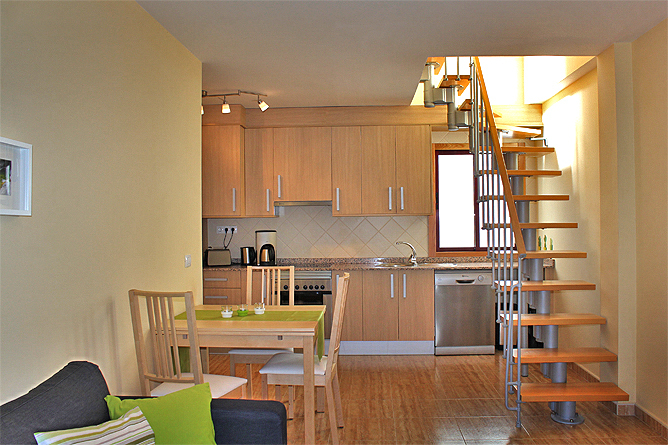 There are also a coffee machine and a water boiler as well as plenty of crockery and kitchen utensils at your disposal. 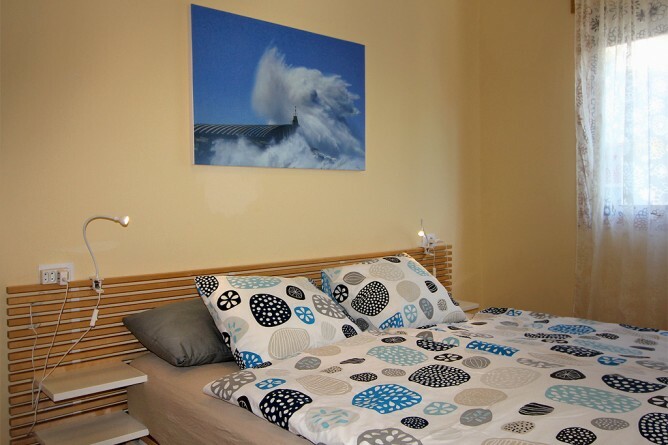 One bedroom is furnished with a double bed, the other bedroom has a pull out single bed, which is ideal to accommodate a fourth person. 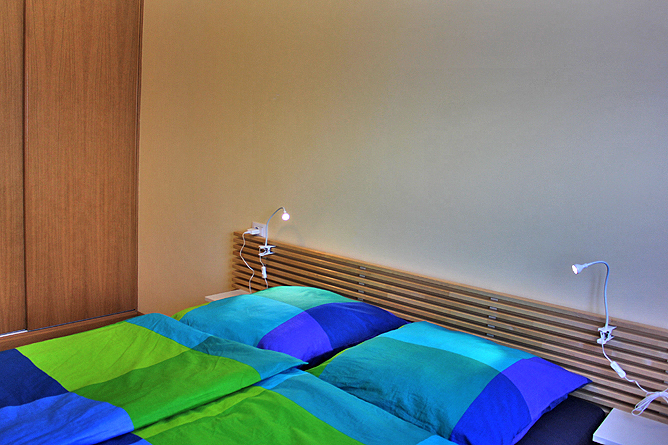 A large built-in closet offers plenty of space for your holiday wardrobe. 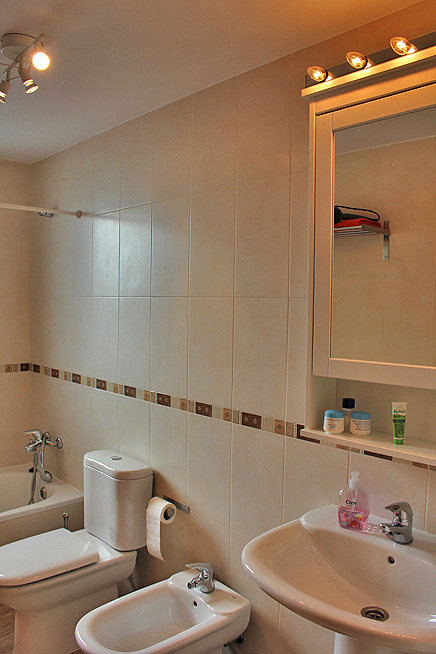 The bathroom has a window as well as a bath tub with a shower and a bidet. 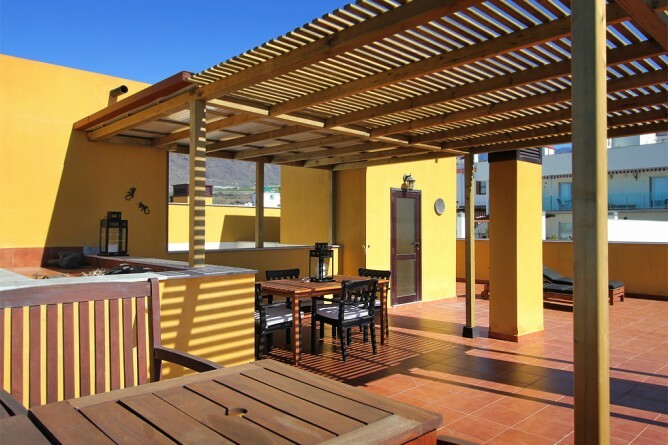 In the patio you are welcome to enjoy the shared pool of the apartment house. 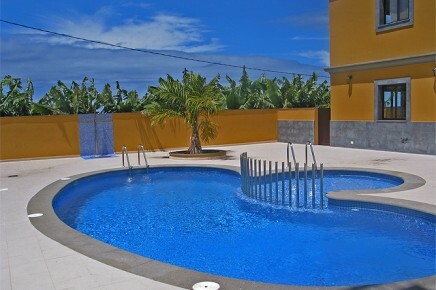 The nine meter swimming pool is not heated and has a separate children's pool. 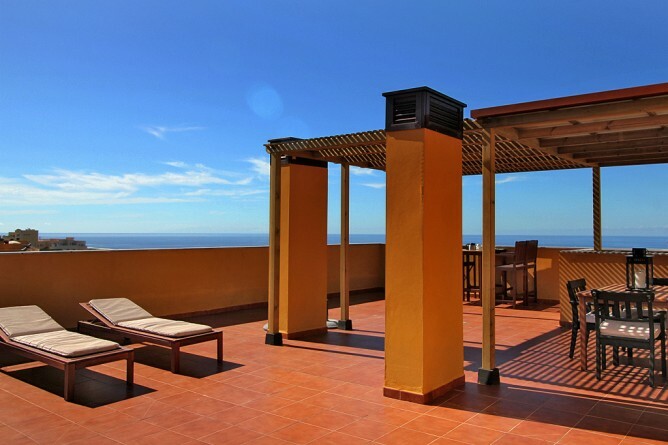 An outdoor shower and loungers are also available. 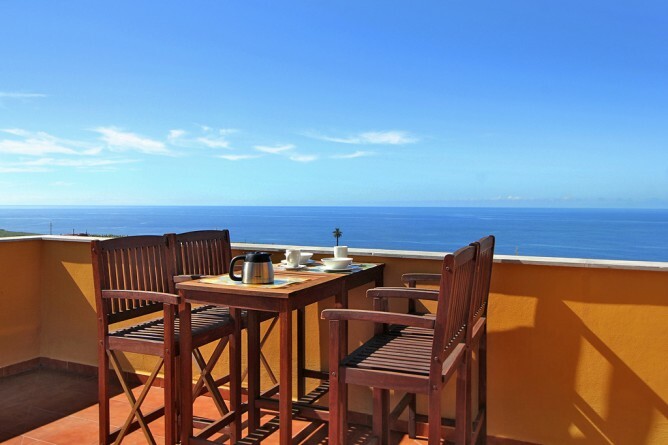 The picturesque village of Villa de Tazacorte is located in one of the sunniest climate of he island. 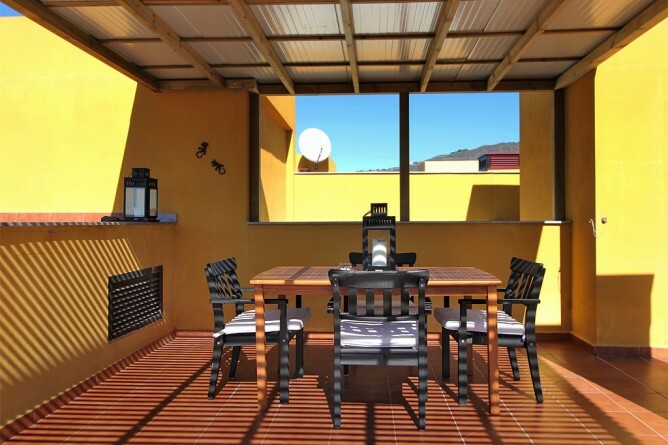 The Apartment House San Miguel is situated on the outskirts of the village but at the same time offers a central location. 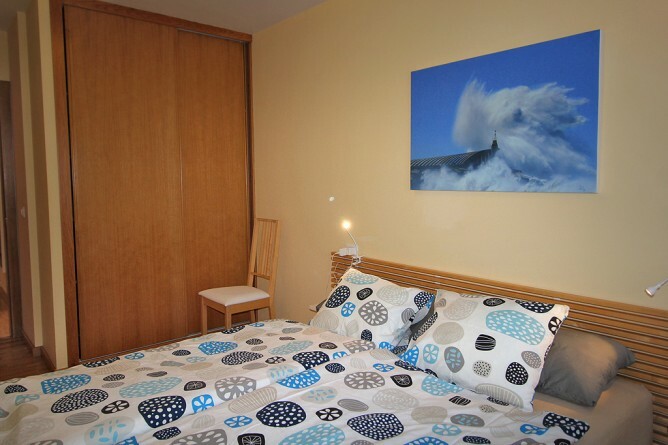 Shopping facilities and restaurant are within a short walking distance. There are also some bars where you can buy snacks and the fish restaurants in Puerto de Tazacorte serve freshly caught fish. There is also a partially sheltered beach and a beach promenade. 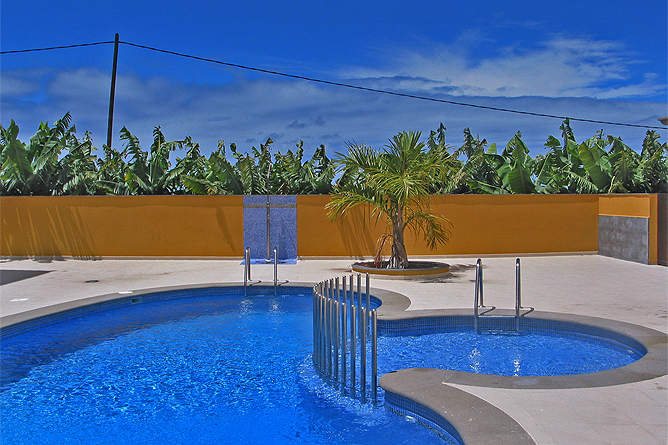 You can drive to the beach of Tazacorte (5 minutes) or enjoy a 20-minutes hike town through banana plantations. 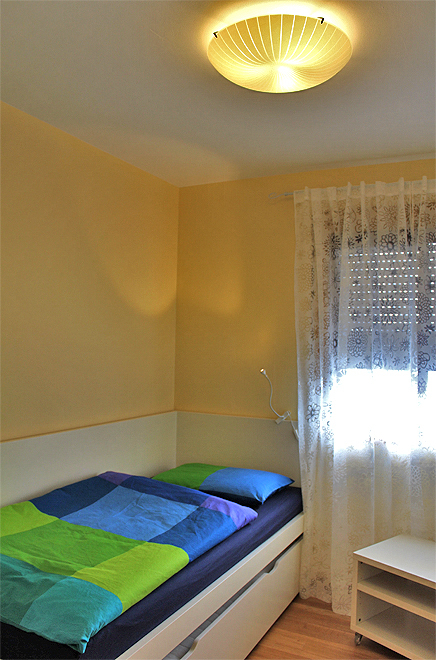 The bus station is only 5 minutes from the Holiday Apartment. 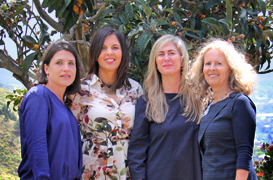 Busses to Los Llanos depart every hour. 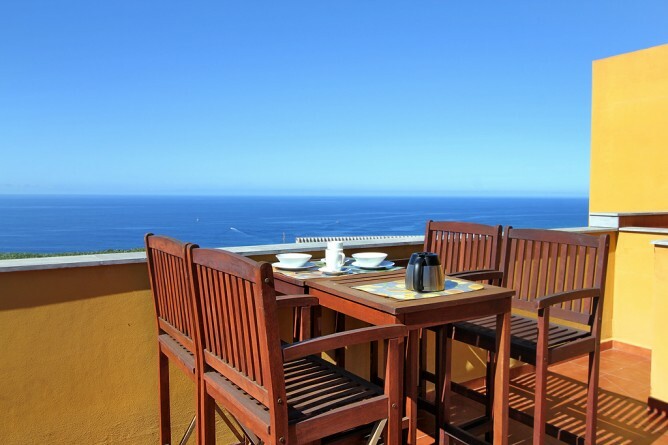 In Puerto Tazacorte, right at the harbour boat trips are offered for whale and dolphin watching or to enjoy an exquisite dinner menu while watching the sunset. 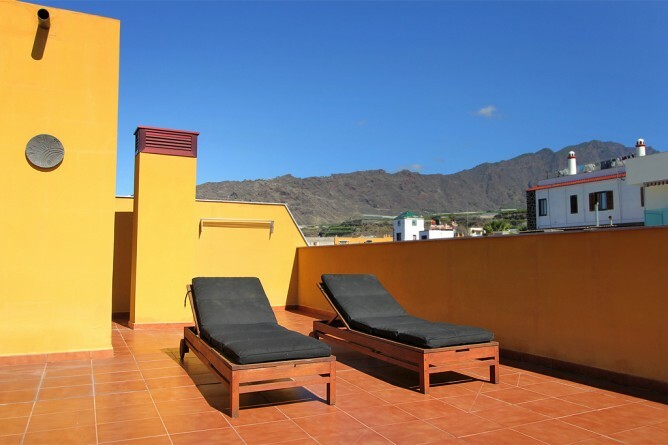 Holiday Apartment with private Roof Terrace and Shared Pool.